During the last week of June one of my cousins was getting married in Orlando, so I took some time off work on the Eastern Shore of Virginia and drove down to spend a few days with my family. 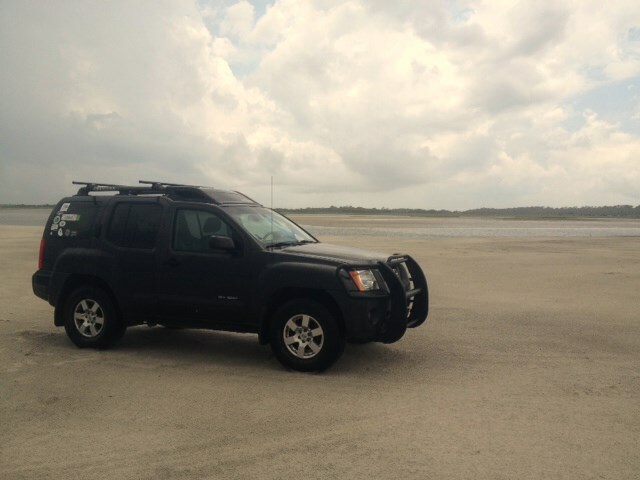 There was no way I could go down to Florida and not find a little time to go birding, so I gave my self an extra day to drive down and birded around Jacksonville, in Duval County. I have birded Duval County on multiple occasions in the past and have always had a fun time. My first visit was in March of 2010 when I made a quick stop by Huguenot Memorial City Park while on a drive back north to PA, and was excited to see a Wilson’s Plover among thousands of Western Sandpipers as well as a few new Florida state birds for me at the time, including Northern Gannet and Bonaparte’s Gull. During the last days of 2011, Anna Fasoli and I found ourselves near Jacksonville and decided to bird around Duval County, eventually planning out a January 1st, 2012 Big Day where we ended up with 110 species, with 105 in Duval County alone! 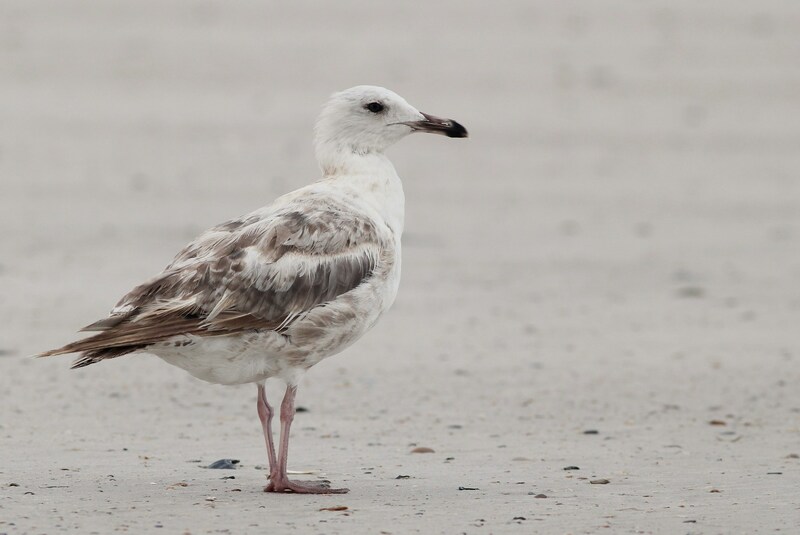 On the last day of 2011, I found an immature Glaucous Gull at Huguenot, which was a state bird for me, and totally unexpected! 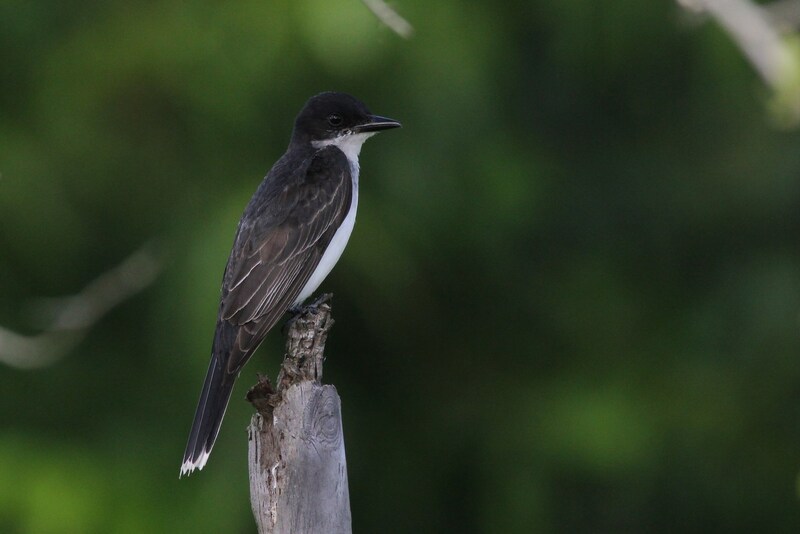 Having only ever birded in Duval County during the winter months, I knew there was a good chance for me to add quite a few county ticks with the collection of species present during late June including Mississippi Kite, Gull-billed Tern, Chimney Swift, etc. 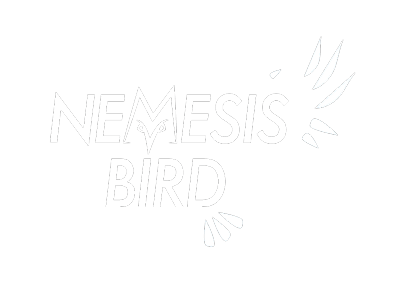 After some eBird research and talking with Duval County birder Kevin Dailey, I made a plan and was excited to get down there and start birding. The icing on the cake was that an immature male White-winged Scoter was hanging around at Huguenot Memorial City Park, which would be a Florida state bird for me. I left Virginia in the afternoon of June 19th and drove down to southern Georgia, leaving myself a little over an hour drive on the morning of the 20th to get to Huguenot, where I planned to spend most of the day birding as most of my county targets could be found there. On the drive to the park along Heckscher Drive, I kept a close eye on the saltmarsh along road and was able to pick up my first two new county birds of the day: Roseate Spoonbill and Green Heron! Pulling in to Huguenot at noon, I drove to the beach at the north end of the park and was immediately greeted by thousands of Laughing Gulls and hundreds of Royal Terns flying back-and-forth to their breeding colonies on the dunes, while small numbers of Ruddy Turnstones and Semipalmated Plovers foraged along the sand, and a scruffy Reddish Egret danced around in the bay. At least 200 Black Skimmers were also incubating eggs, and mixed with them were my county-first Gull-billed Terns. Narrow bands of rain moved through the area, often forcing me to retreat to the car, but between showers I was able to get some photos of the birds and search around for new species. After a bit of scoping, I was able to pick out a group of 10 Black Scoters in the distance but there was no sign of the White-winged. 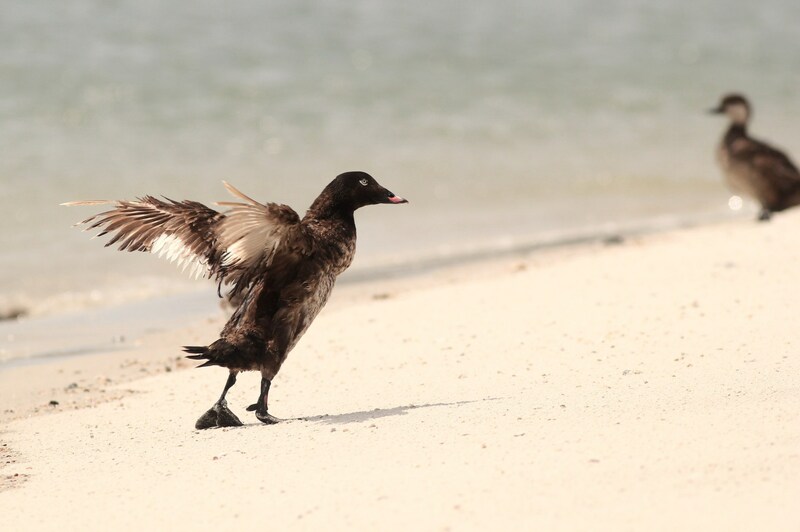 Luckily a few hours later, once the tide came in, the scoters were pushed up on the beach and soon the White-winged Scoter floated into view, walked up onto the beach, and shook off. I had already crept in closer and layed on the beach, so I was able to get some photos I was happy with despite the harsh lighting on the sand. Happy to have picked up a new species for my Florida life list (#284), I drove back to the south end of the park and scanned through some shorebirds along the way, finding 25 Semipalmated Plovers, 2 Black-bellied Plovers, ‘Eastern’ Willets, and scattered Ruddy Turnstones. There was also a Caspian Tern sitting on a sandbar, with some Royal Terns and Laughing Gulls. At the south end of the park, at the mouth of the St. John’s River Inlet, there is usually a nice gull and tern roost that varies in size depending on the tide. 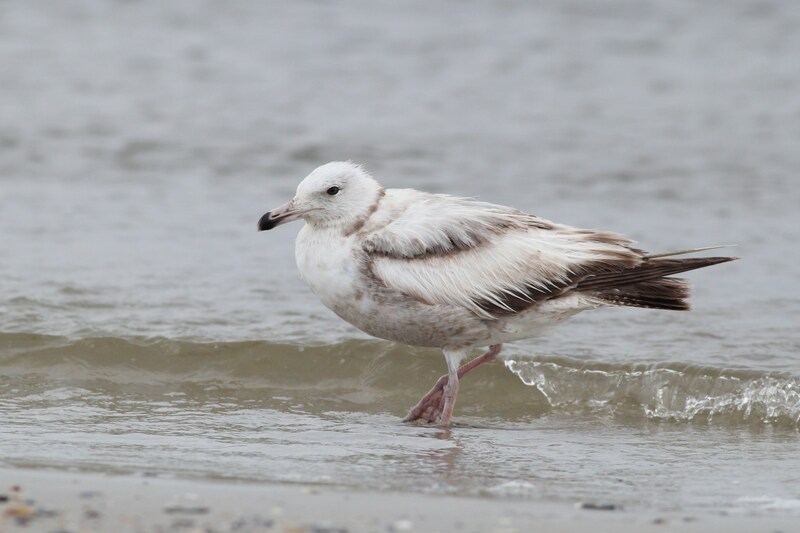 Royal Terns, Black Skimmers, Herring Gulls, Great Black-backed Gulls, 2 Ring-billed Gulls, and mostly non-breeding adult and immature Laughing Gulls were gathered in a large flock at the very tip of the sandbar at the inlet. I sat on the sand nearby, photographing the birds and was happy to spot a distant pair of Sandwich Terns flying. The terns eventually turned and worked their way over towards me, landing close by among the Royal Terns. 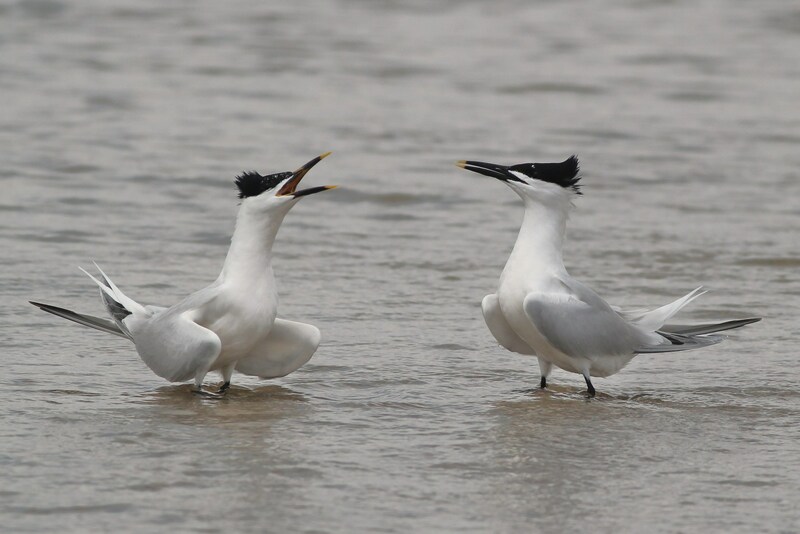 The pair bathed briefly and then began displaying to each other; walking close, and slowly raising their bills up, and calling loudly at each other. One of the two birds, which I thought was the male based on size, had a small yellow patch above its nostril in addition to the usual yellow tip on the bird’s bill. 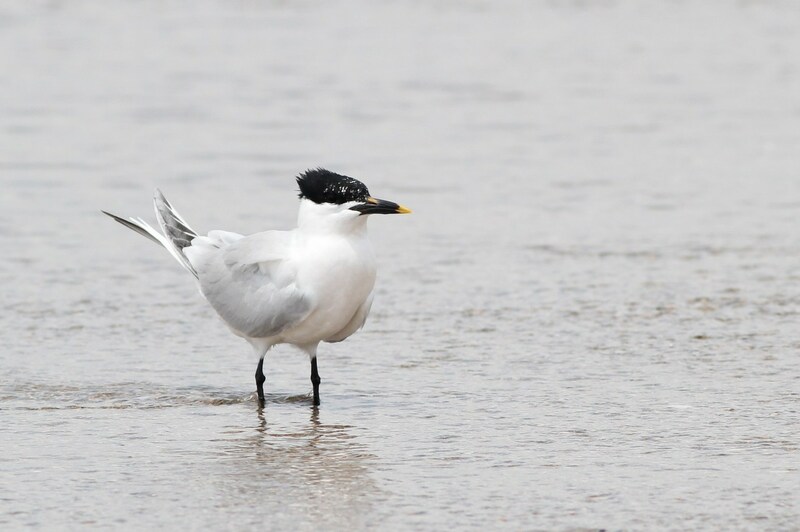 I have never seen this before on a Sandwich Tern, have you? Also lingering nearby were two incredibly ugly immature gulls. The gulls were so worn and faded, it was difficult to ID them but I’m pretty sure they are Herring Gulls. It had been almost 4 hours since I first arrived to Huguenot, so I decided to work my way out and then head over to another birding spot nearby. Some patches of brush and trees near the entrance gate were fairly birdy, offering up a few new county ticks including ‘White-eyed’ Eastern Towhee, Barn Swallow, Blue-gray Gnatcatcher, and Common Ground-Dove. Just as I was leaving the park, there was a male Painted Bunting perched on a telephone wire, singing! With 9 new county birds in the bag, I drove over to the M&M Dairy on the Port Jacksonville Pkwy. Mississippi Kites had been seen soaring around that area during the past few days, and are certainly a species I try to see whenever possible. On my second drive down the road, I spotted two kites flying around about a quarter mile away. I pulled over and got out, hoping to get a few photos if the birds moved closer. 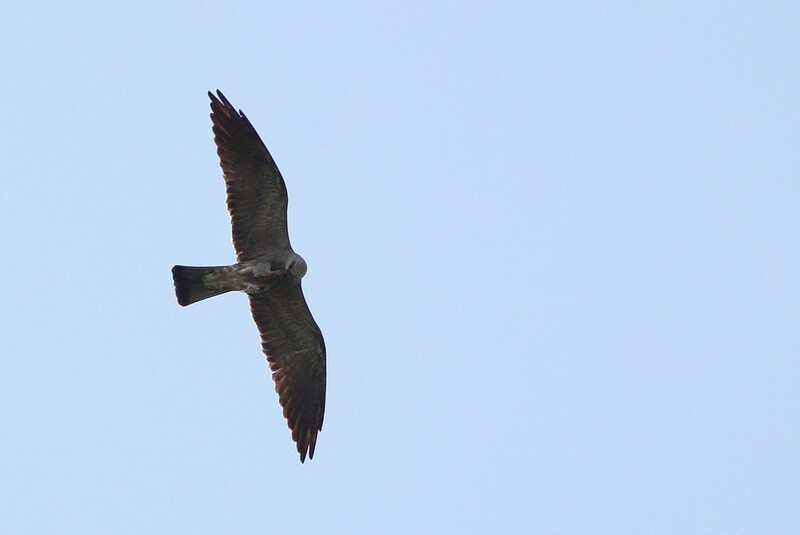 After a few minutes, a total of 6 Mississippi Kites were soaring around above me! Watching the kites stoop and dive through the air, catching dragonflies, was such an incredible sight. A singing Eastern Meadowlark nearby gave me another new county tick! Just down the road was the new Sheffield Regional Park, where local birder Kevin Dailey thought I would have a good shot at picking up a few more county species I needed. Sure enough, in about 40 minutes worth of wandering around the park, I stumbled upon four new county ticks – Ruby-throated Hummingbird, Eastern Kingbird, Blue Grosbeak, and Indigo Bunting! Also of note at the park was another flyover Mississippi Kite and a Loggerhead Shrike. It was getting late and I hadn’t eaten all day, other than some Ritz crackers I had brought along for the roadtrip down from VA. I decided to try and grab some fast food but didn’t want to waste too much of the remaining daylight. Consulting BirdsEye on my phone, I planned out a nice route for the rest of the day – head west past a pond that had some Black-bellied Whistling-Ducks 8 days before, grab some Taco Bell, jump on the highway and head south to Reddie Point Preserve, and bird there till dark. Along New Berlin Rd, I spotted three Swallow-tailed Kites soaring low on the south side of the road – another new county bird and a beautiful one at that. A few miles down the road, I pulled onto Perdue Rd to check out the small pond where the whistling-ducks were reported. After a few minutes of scanning around, I spotted a two whistling-ducks preening along the shore. Over 30 Canada Geese, at least 100 Mallard X Mottled Duck hybrids, an Anhinga, and another flyover Mississippi Kite as well as my 18th new county bird of the day – Great Crested Flycatcher! Map showing Reddie Point Preserve (red pin). After a little trouble detouring around road construction, I pulled in to Reddie Point Preserve around 8pm, leaving a half hour to bird before dark. 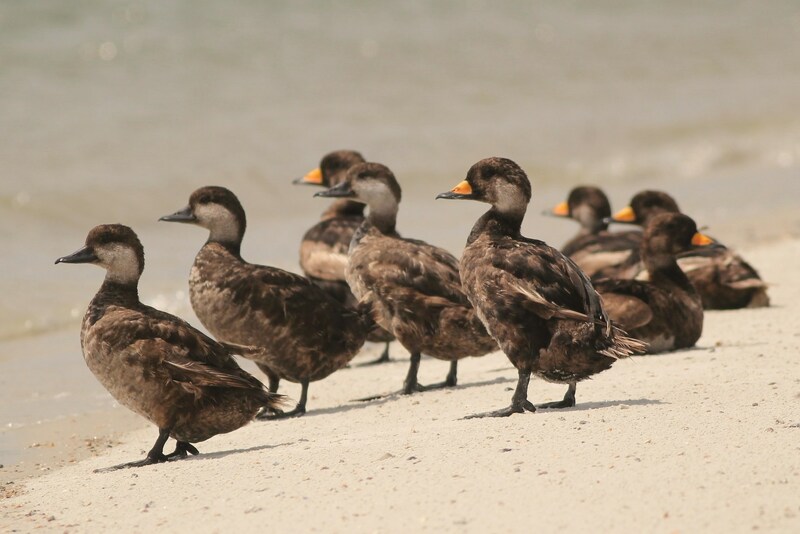 Reddie Point is a 102 acre forested preserve at a sharp bend in the St. John’s River, creating a great birding location. With my Duval County list now up to 135 species, I was hoping to add a few more, perhaps hitting 140 before dark. At a small pond near the entrance, I spotted 7 Black-crowned Night-Herons and 3 Anhingas perched in the trees along the shoreline but couldn’t find a Yellow-crowned among them. A few minutes later, a Green Heron literally dropped out of nowhere and landed in a bush nearby, settling in to roost for the night. As I walked out towards the point, I looked up to spot an adult Yellow-crowned Night-Heron flying over, heading west! Then a Summer Tanager sang from the pines nearby, another new county bird! I walked out to the end of the pier, and scanned the river. 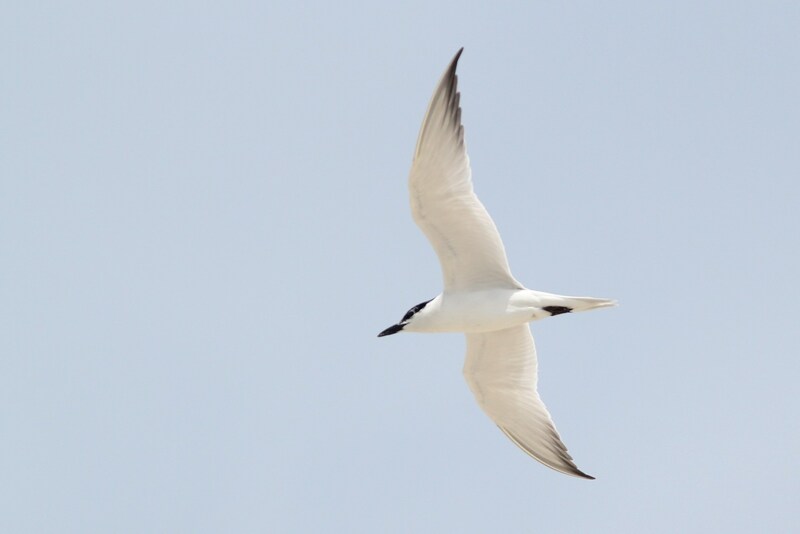 Royal Terns, Laughing Gulls, and Forster’s Tern were flying around and then I spotted two miniature Least Terns working their way past me – county bird #138! Within a few minutes, I saw another 3 fly by and in the final few minutes of light, I picked up one last county bird – 2 Chimney Swifts fluttered around above, calling to each other. Just short of 140 , but having still picked up 22 new county birds, I was pretty happy with my day! 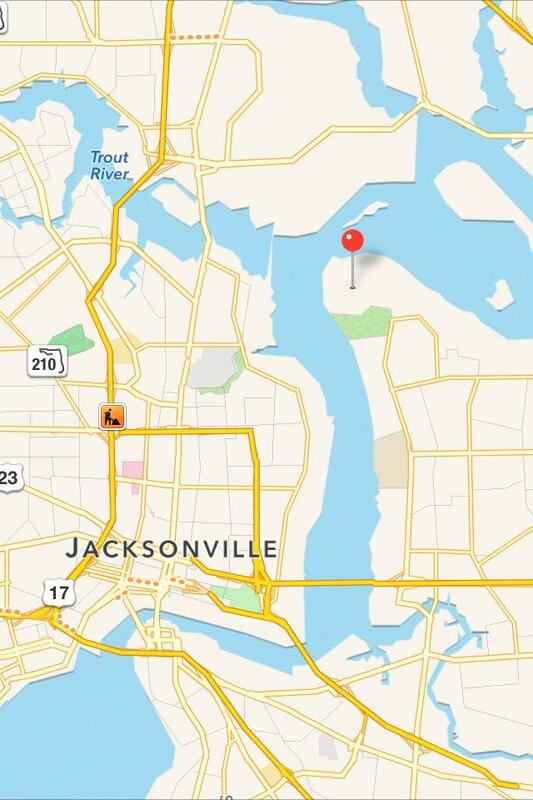 Thanks again to Kevin Dailey and anyone else that uses eBird in Duval County! I can’t wait to get back down there!